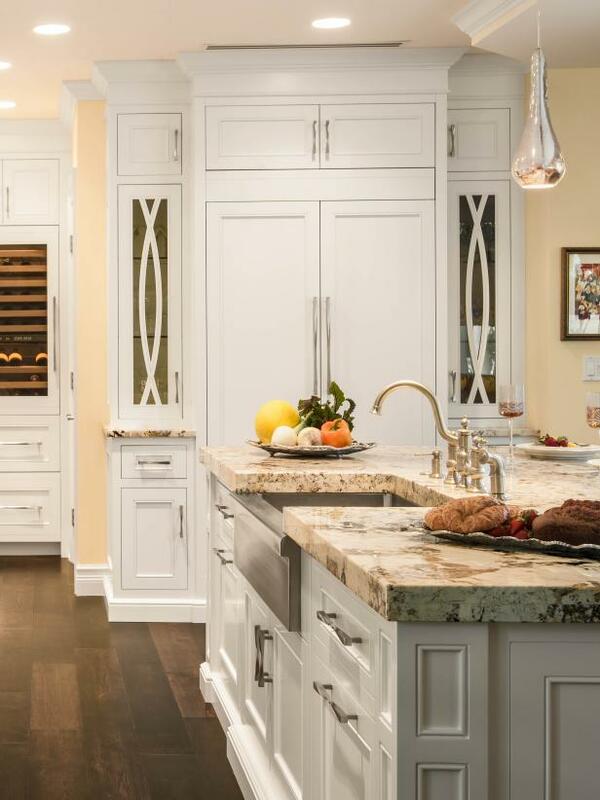 Accented with a fun chevron-design backsplash, this updated traditional kitchen greets you with an inviting atmosphere with chic white cabinetry and light stone countertops. 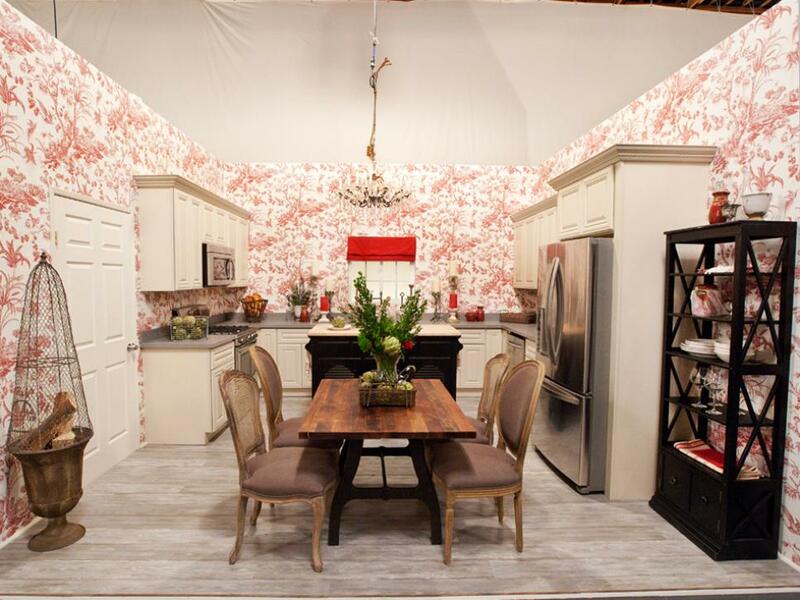 Rachel wants the back wall of this kitchen, seen on Season 7 of HGTV's Design Star, to have visual impact, so the designers leave it free of cabinetry. But to judge Genevieve Gorder, it's too big of an impact. "Because this wall is completely naked, it's a punch in the face...it's incredibly busy," she says. 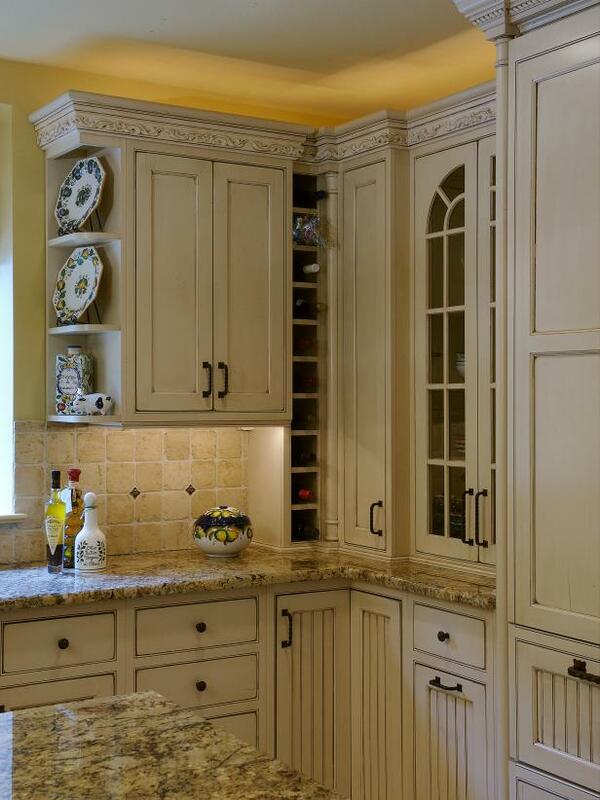 Keeping mixers and blenders in cabinets when they’re not being used is a good space-saving idea, but pulling them out can be tough on your back. This device does the heavy lifting for you (and makes it likelier that you’ll use that weighs-a-ton stand mixer). If you have solid but unremarkable builder-grade cabinets, the simplest route to a high-end look is adding some height with crown molding. 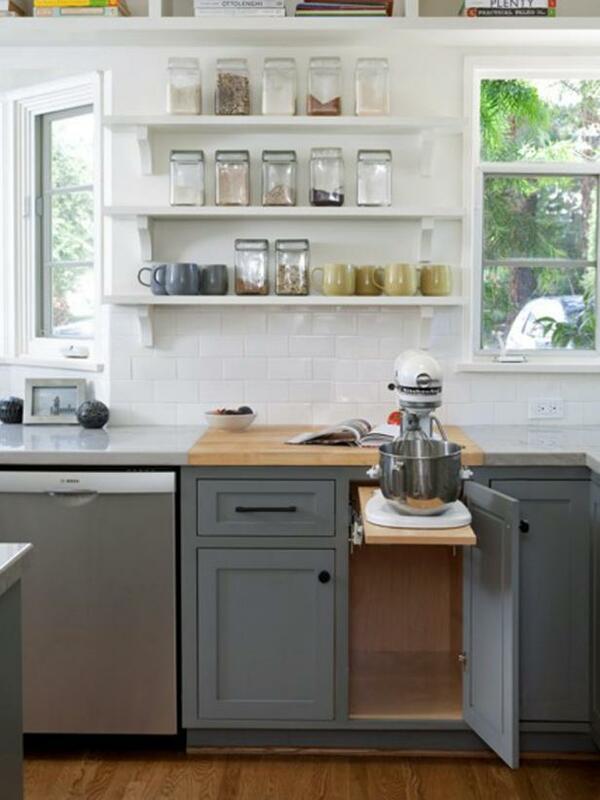 Interior designer Sarah Macklem of The Yellow Cape Cod tackled this project in her own kitchen with striking results. 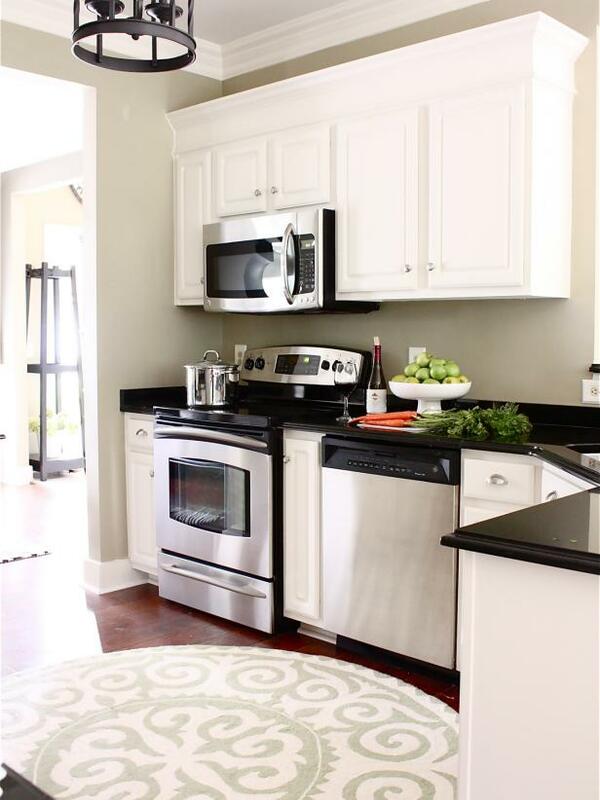 This white kitchen is a beautiful blank canvas waiting for a family's personal touches. 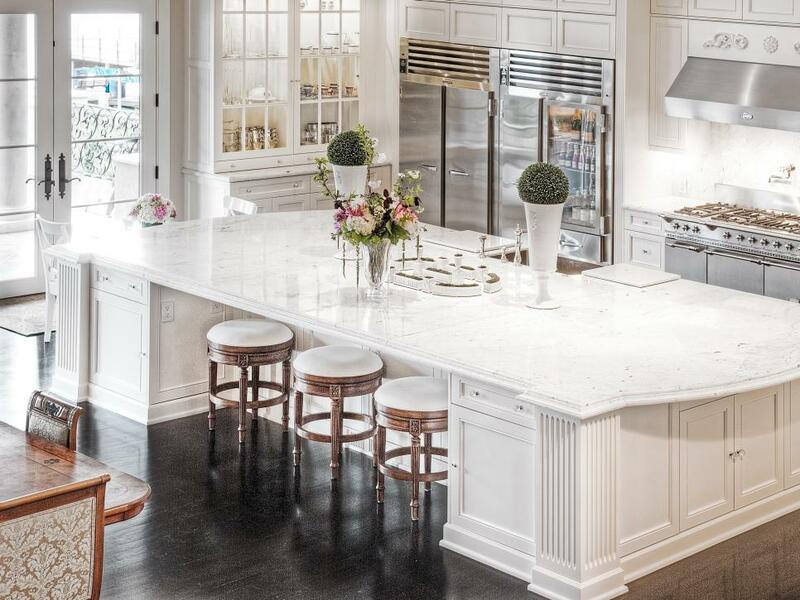 Kitchen Island: Elegant Italianate Estate in Bellevue, Wash.
An oversized white island with a stunning marble countertop is the focal point of the magnificent kitchen. 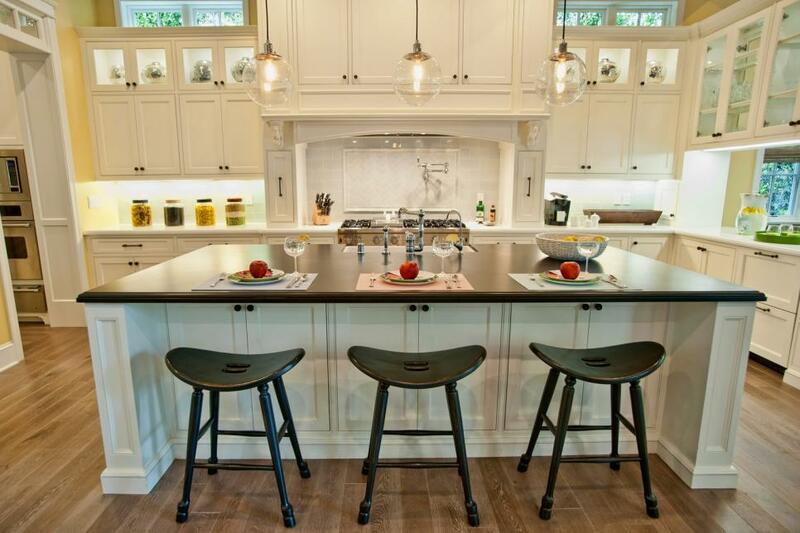 The island offers ample prep and storage space while also accommodating three barstools for casual dining. 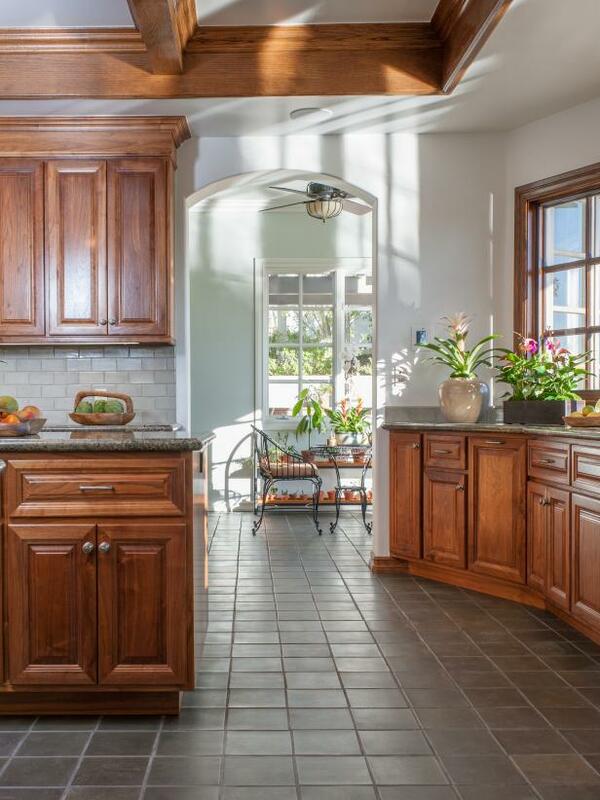 Handsome dark brown wood cabinets match the island and the kitchen's crown molding. A chandelier is the finishing touch on the elegant space. 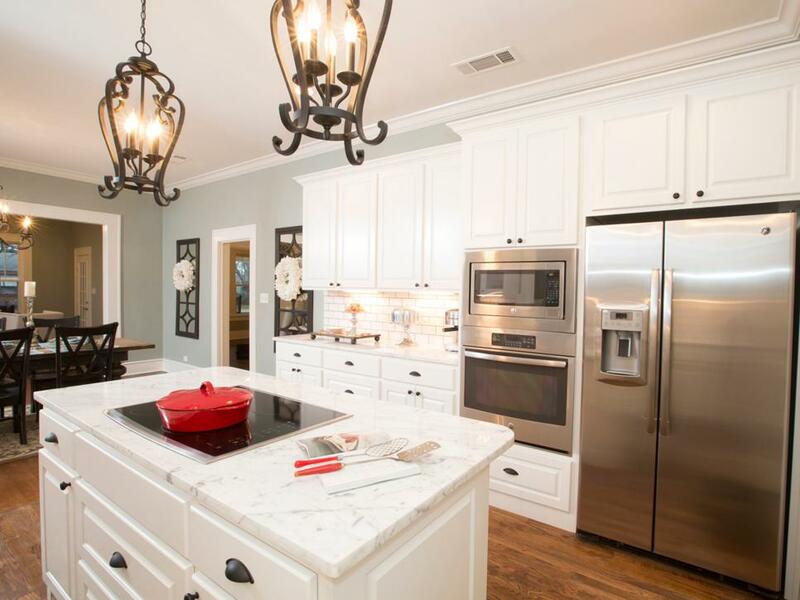 The farmhouse kitchen in this fully renovated Cape Cod-style home abounds with luxurious and functional details. 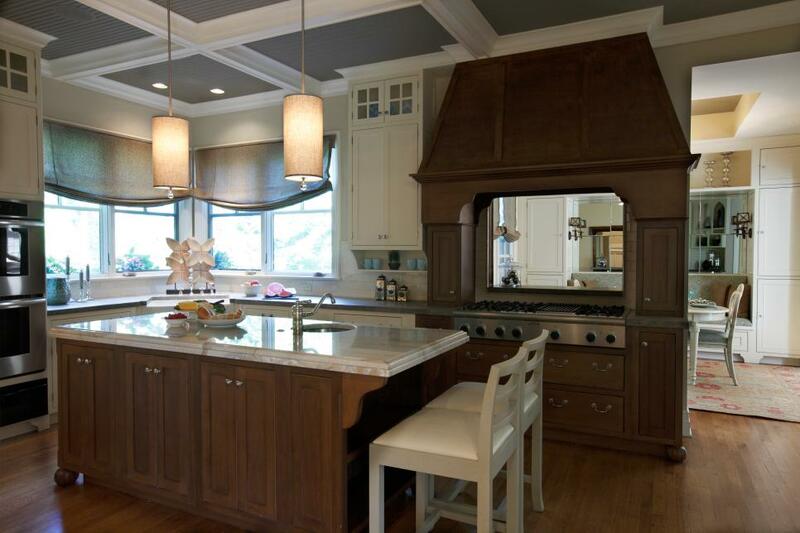 White cabinetry extends to the ceiling for added storage, while a trio of skylights bathes the island in natural light. 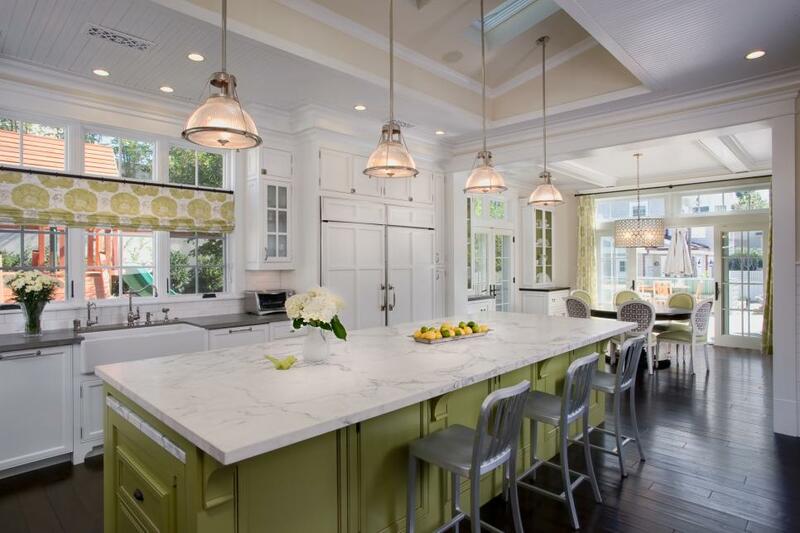 The spring green color of the island is an unexpected touch of whimsy in the traditional space. 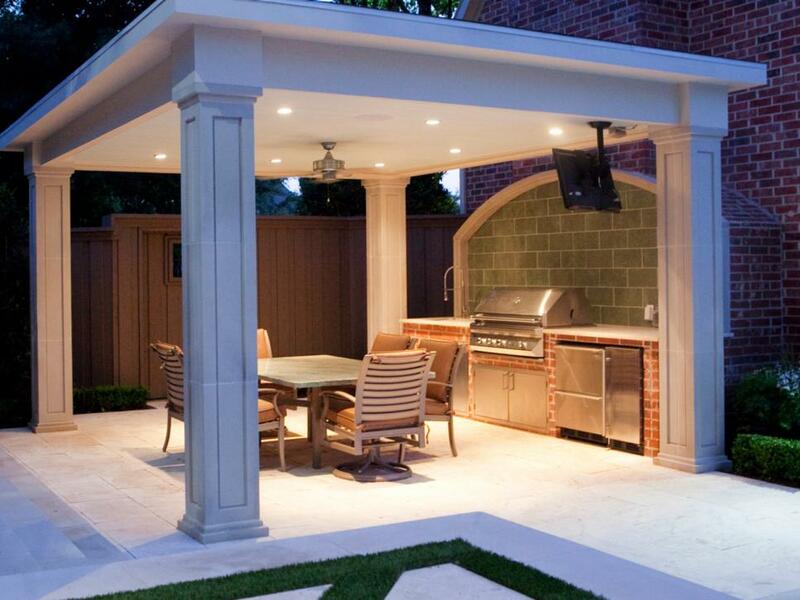 The open pavilion reflects the home's architecture and houses the outdoor kitchen and dining room. The stainless steel grill and refrigerator is built into a brick facade, which also provides counter space for prep and serving. Stunning cream cabinets paired with granite countertops prove to be an excellent design choice in this sunny yellow kitchen. 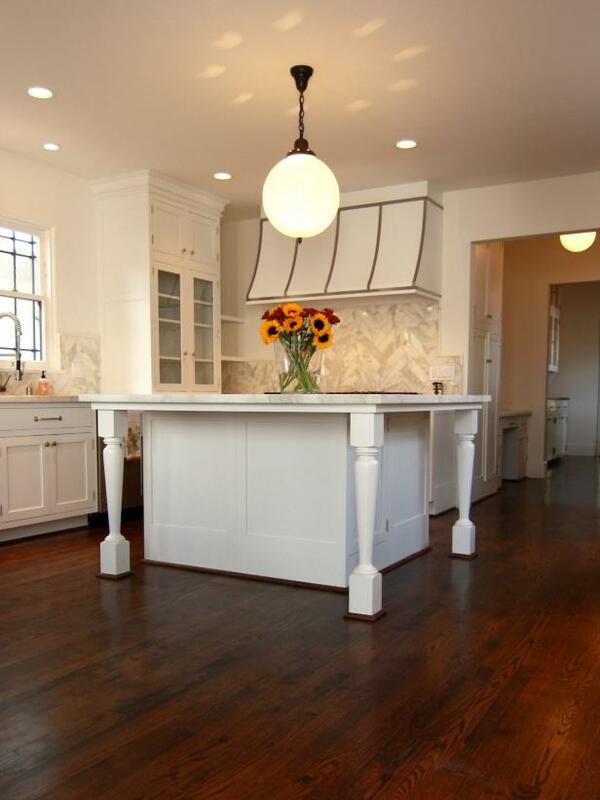 The kitchen has been transformed with refinished hardwood floors, new cabinets and paint. 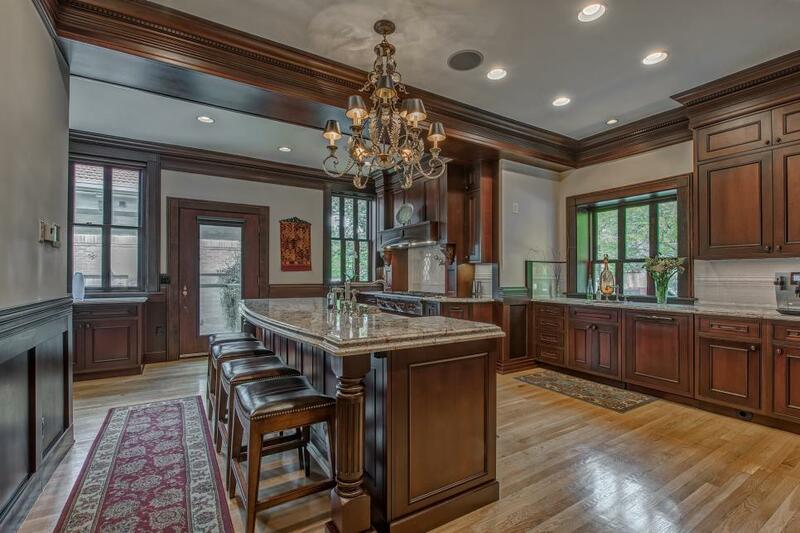 Ornate metal chandeliers illuminated a large kitchen island with plenty of storage and granite countertops. 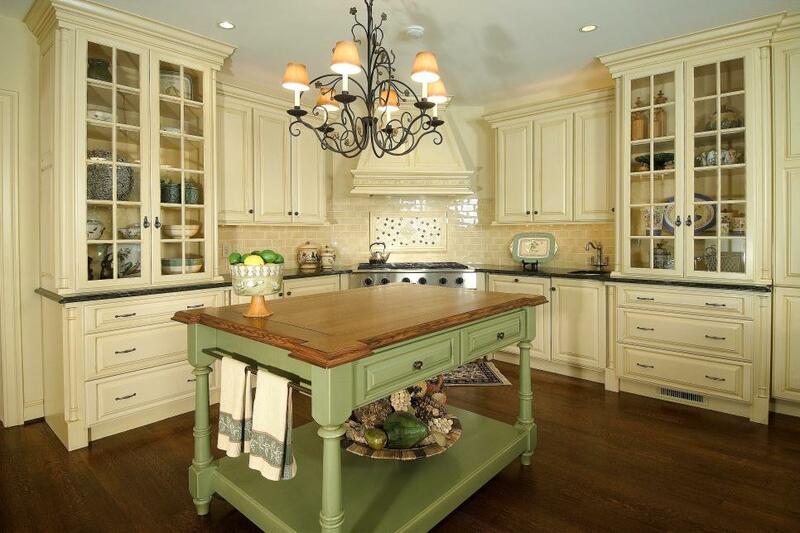 A lovely green island with a stunning wood countertop is the focal point of this gorgeous traditional kitchen. 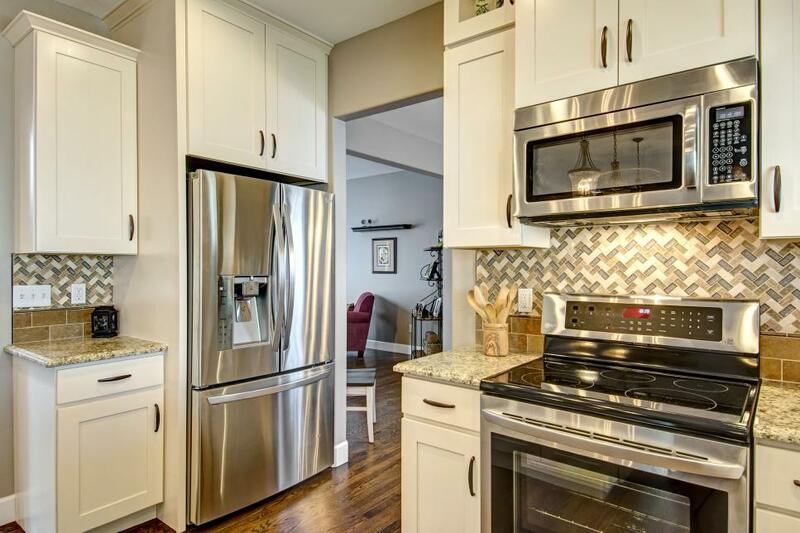 Beautiful cream cabinets fill the remainder of the kitchen with a neutral subway tile as the backsplash and rich hardwood for the flooring. 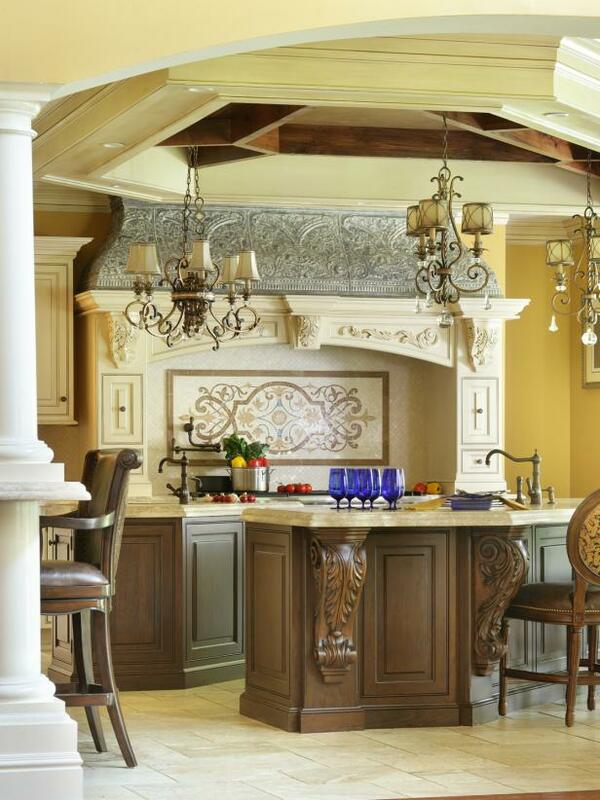 Above the island, a wrought iron chandelier illuminates the space. 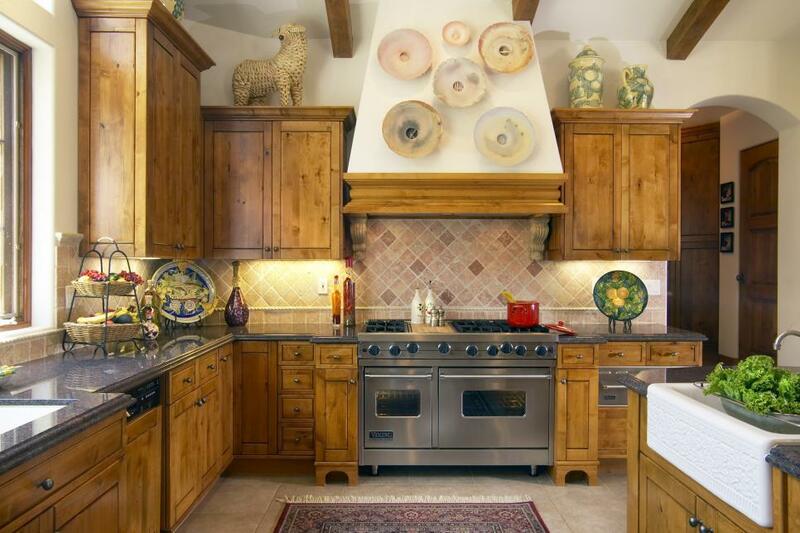 A hand-crafted island and custom cabinetry surrounding the gas range are stand-out features in this beautiful kitchen.